Stamps of Spain overprinted in red or black. 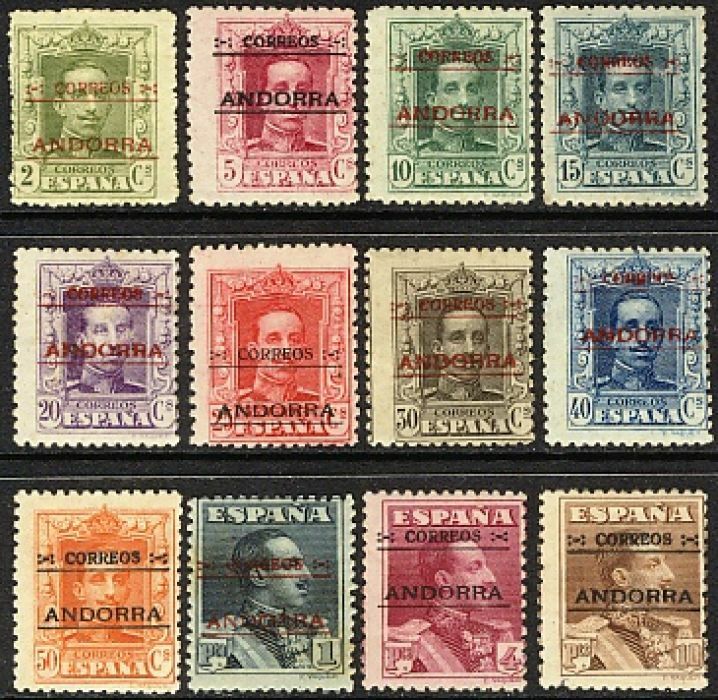 † The first issue comprises overprints of Spanish stamps and so an image of the set shown, rather than a listing. Wikipedia: Andorra is a sovereign landlocked microstate in Southwestern Europe, located in the eastern Pyrenees mountains and bordered by Spain and France. Andorra is the sixth-smallest nation in Europe, having an area of 468 km2 (181 sq mi) and a population of approximately 85,000. 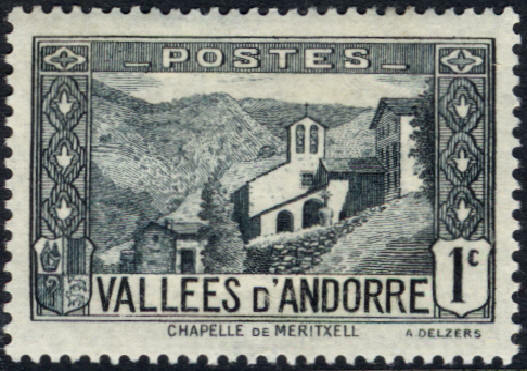 Andorra is a parliamentary co-principality with the President of France and the Bishop of Urgell (Catalonia, Spain) as co-princes. 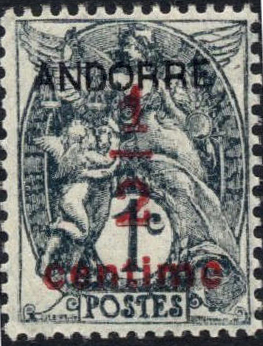 It has used both French and Spanish stamps. 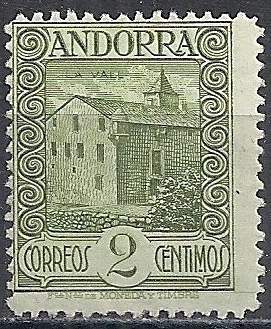 After the initial overprints, dedicated stamps were provided by both Spain and France. ‡ Gibbons lists as F1 a ½c o/p.